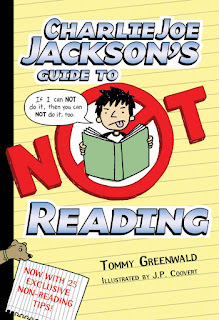 This book came with the Reading Enrichment loans for school from National Library. I'd asked for books for mainly male reluctant readers and this fit the bill very well. It was issued as soon as I showed it and whenever it came back would go straight out again, so I thought I'd better actually read it before I sent it back, and having done so I'll buy it, and I'll get some others in the series (there are six). Charlie Joe (aka CJ) is a determined non-reader, and has all sorts of ways of getting out of reading whenever he can, including a handy arrangement with a friend where CJ reads the first and last chapters of an assigned book, then his mate, in exchange for an ice-cream sandwich, reads the rest and tells CJ what it's all about. One thing I like about CJ is that he doesn't dislike stories, and he doesn't have any difficulty reading, he just doesn't want to read the whole book. As you'll see in the book trailer, he's happy to listen to an audio book or watch the movie of a book and is actually a fan of the library where not only can you get audio books and movies, but there are girls. As a librarian, of course I hoped that in the course of the story CJ would learn how great books could really be, but he's still a fairly determined non-reader at the end, but in the process of writing the book (a punishment for some particularly bad non-reading behaviour) he tells us all the things that are great about books. I've had a couple of students at school who stated in no uncertain terms when they came into the library for their English class: "I DON'T READ". And yes, they told me in loud capitals. I, of course, am determined to find something they will find irresistible, and this might be that book. It's funny but with underlying serious issues, like how to treat friends, be trustworthy, and own up when you're in the wrong. 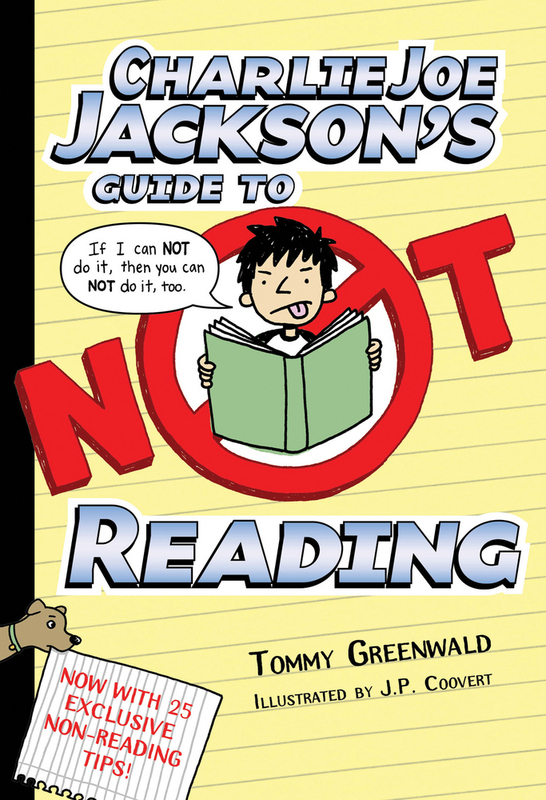 The cartoon illustrations will also ensure you lure in all those determined Wimpy Kid readers who don't want to move on.